Relief can’t come fast enough when you’re A/C isn’t cooling. We’ll diagnose, recommend service and repair your A/C System quickly so you can get back to the comfort you deserve. When your air conditioner breaks down in Central Florida, it’s not a time to panic! When temperatures regularly exceed 90 degrees, you need an AC repair Orlando expert for your home or business that can address the problem as soon as possible. 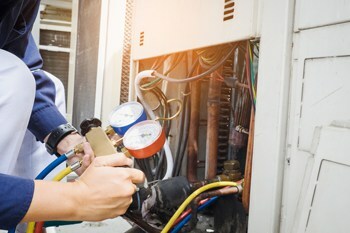 DC / AC Air and Heat is your Central Florida AC repair and service company serving Central Florida for more than 25 years. Many homeowners assume their air conditioner will function properly for the foreseeable future, but no air conditioner lasts forever. So it’s important to be prepared for your air conditioning system’s eventual malfunction or total failure. The Orlando AC repair experts at DC / AC Air and Heat can identify any problems that occur with your air conditioner and provide the appropriate repairs. If your air conditioner fails completely, we will help you find a replacement that suits your budget. We all know how hot the Florida heat can be without good air conditioning during these long summer months. Air conditioning has become an essential part of life for most of us. When your air conditioner is not working, living with the heat is not only uncomfortable, it can be life-threatening. YOU’LL BE 100% SATISFIED WITH YOUR ORLANDO AIR CONDITIONING REPAIR AND INSTALLATION – WE GUARANTEE IT! 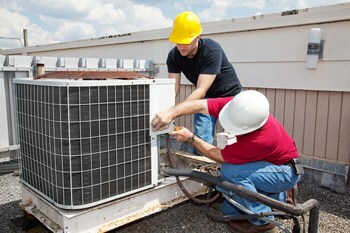 We consistently deliver A/C service that is unmatched in quality, expertise and professionalism. DC / AC Air and Heat is proud to offer dependable A/C unit and heat pump repair and installation services at affordable rates. The Better Business Bureau has ranked us an A+ Accredited Business. We’re local, headquartered here in Orlando, FL and we’re a fully licensed, bonded, and insured Air Conditioning Contractor. 100% SATISFACTION GUARANTEE ON ALL WORK! At DC / AC Air and Heat, we understand the importance of working air conditioning. In Central Florida, it’s definitely a necessity. Extreme heat during the hot summer months can threaten your health and well-being. Our experienced and licensed technicians will show up on at your home or business the same day you call for air conditioner repair. 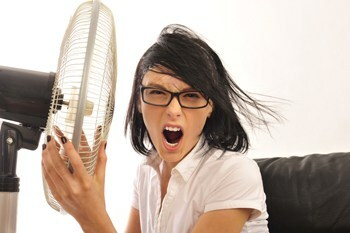 We guarantee this seldom-seen service because we know what it means to lose your air conditioning in the Orlando heat. We treat it as an emergency situation. Your satisfaction is important to us! We understand that dealing with your A/C isn’t what you’d rather be doing. That’s why we’re committed to making your service experience as positive as possible. No matter the problem, our team will do their best to fix it the same day. If for some reason the problem is a serious one, the technicians may not be able to repair it in the same day because new parts might have to be ordered. 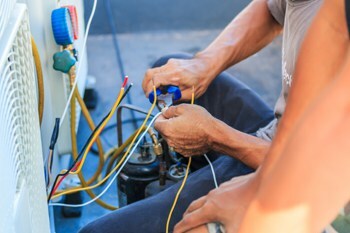 DC / AC Air and Heat uses NATE-certified repair professionals and our technicians have the training, skills and knowledge to repair any type of air conditioner no matter what make or model. This includes small jobs like refrigerant leaks and sensor problems to larger ones like compressor and duct repair. The technicians at DC / AC Air and Heat are among the best in Central Florida at diagnosing A/C issues. That’s because we’ve been doing it for more than 25 years in one of the air conditioning hot spots of the country. DC / AC Air and Heat is the Orlando HVAC repair service experts for all makes and models of air conditioners in Central Florida. Our team of technicians have many years of experience in the residential and commercial HVAC industry and there is no make or model we can’t service. We recommend regularly scheduled maintenance to keep your equipment in tip-top shape, which can also help you avoid costly repairs by catching small issues early. At DC / AC Air and Heat, all of our technicians are valued members of our team. They are all non–commissioned, and at DC / AC Air and Heat we offer straight forward pricing.